As we try and make sense of our world there is always a temptation to simplify the complex, to set parameters or limiting factors on a choice or decision to make it manageable. For many this translates into only feeling successful if particular pre-conditions are metsay if a particular person or clique acknowledges our worth, maybe it is by purchasing the latest shiny gadget or simply through winning some irrelevant competition with our peers. Hard won experience teaches us that things are never that simple, of course, since when one set of wants fails to deliver the expected happiness it is only succeeded by fresh desires. In music this happens as wellsome will try and tell you that the only way for music to be legitimate is if it can be played and recorded on acoustic instruments, produced by a certain craftsman from a remote region of the world, or that the tapes were produced by someone who knows someone, who knows someone, who once met a long dead musical legend. Nonsense of courseif the mysterious joys of music could be reduced to such algorithms then albums like this wonderful improvised delight from Nils Frahm could not exist. In essence there can ever only be two types of records the good and the bad, and even then, the membership of each category is not fixed in perpetuity. 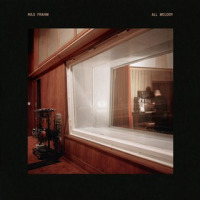 Nils Frahm is a Hamburg born, Berlin based, musician whose individual path of more than the last 10 years has led to a stone-cold classic in All Melody that may well see him breakthrough to a wider acceptance outside of electronic music. His music is open, emotional, collaborative and often improvisedsounds like jazz? Well yes, if you are open minded enough, but not if your use of the term requires a traceable link back to the music theory and sonic environments of the 1950s and 1960s. Likewise those who see a binary opposition between acoustic or electronic music are going to struggleyet surely we needn't revisit the battle for openness won by the likes of Herbie Hancock in the 1970s? In Frahm's music both the acoustic and the electric not only co-exist but on occasion seem to merge to the extent that you cannot be certain whether you are listening to an acoustic instrument, a sample or even a hybrid instrument produced to more closely fit the sound the composer intended. The bottom line is that All Melody is simply very, very, good. Alongside the warm, wordless, melodies of the 12-piece choir, Shards, on "Momentum" and the fragile trumpet of Richard Koch on "Human Range," the killer track "#2" even has an ambience that would happily sit on say Sven Vath's classic "Accident in Paradise" album from 1992. The sleeve notes play on the ambiguous instrumentation by recording that the album is "all played or made with real things" -Frahm has commented elsewhere that the aim is encourage the listener to stop analysing and simply surrender to the beautiful melodic sound. It is in the working methods though that the links to club culture are more apparent than in much of the tangible sounds. The album draws from around 10 months of music making in Frahm's newly renovated studio in the Funkhaus complex in Berlin and the final version treats the tapes like a DJ blending sections of improvised pieces as if the album were a mix or a set. The aforementioned "#2" for example segues out of the album's excellent title track before shifting to a new section just after the 3 minute mark. Frahm does have links to the ECM label both through his noted photographer father Klaus, whose work includes sleeves for the likes of Steve Kuhn and Pat Metheny, but also in the quiet intensity that he brings to his keyboard playing on the likes of "Fundamental Values." Where Frahm junior departs from the acknowledged ECM influence, is in his discomfort with the serenity that some ECM recordings strive for. You can hear this in stand out tracks like the beautiful piano piece "My Friend the Forest" where the surface ECM calm is 'roughed up' a touch by the ambience of the room and the sounds of the instruments. This is a trick that Frahm has used to some effect on his 'live' album "Spaces," where the effect was more like a collection of field recordings than your average corporate rock, cash call, tour souvenir. UK DJ and Brownswood label owner Gilles Peterson recently remarked in a newspaper column of his excitement at the "new connections being made between club culture and live jazz" and the likes of Nils Frahm exemplify this new openness. For those of us who found jazz through other music the proposition that the way to broaden the genre's audience is to stay open to the possibilities of electronic and other music is irrefutable. I'm sure that the likes of Frahm and GoGo Penguin would not for a moment suggest that anyone need throw away their acoustic jazz recordsit is clearly a fiction that an enjoyment of one sort of instrumentation makes all others redundant. The whole point is an openness to and love of music that steps beyond the commonplace. If a more open musical future leads to more records of this quality then surely this is something that we should all embrace? Highly recommended. Track Listing: The Whole Universe Wants To Be Touched; Sunson; A Place; My Friend the Forest; Human Range; Forever Changeless; All Melody; #2; Momentum; Fundamental Values; Kaleidoscope; Harm Hymn. Personnel: Anne Muller: cello; Viktor Orri Arnason: viola; Richard Koch: trumpet; Sven Kacirek: bass marimba; Sytze Pruiksma: timpani, gongs, bass drum, melodic percussion; Erik K. Skodvin: processed guitar, unheard sounds; Shards Choir conducted by Kieran Brunt: Lucy Cronin (soprano); Bethany Horak-Hallett (soprano); Heloise Werner (soprano); Kate Huggett (alto); Sarah Latto (alto); Rose Martin (alto); Kieran Brunt (tenor); Oliver Martin-Smith (tenor); Sam Oladeinde (tenor); Dan D'Souza (bass); John Laichena (bass); Augustus Perkins-Ray (bass); Nils Frahm: all other instruments, recording and mixing. Title: All Melody | Year Released: 2018 | Record Label: Erased Tapes Records Ltd.